Since 2006 we have installed a network of 13 Directional WaveRider buoys and 4 tide gauges (2 WaveRadar gauges and 2 step gauges) around the South West coast. 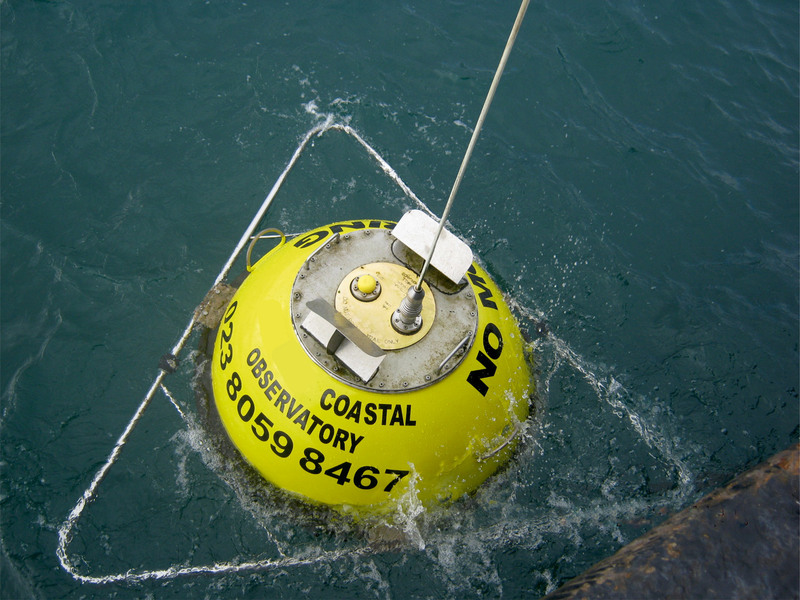 The wave buoys are situated in ~10-12m water depth (Chart Datum) where they record wave height, wave direction, wave period and sea temperature. The wave and tide data we collect is broadcast back to the National Coastal Monitoring Network website where it can be viewed in real-time, along with the data from the wave buoys in other regions. This data is extremely important for use in flood and coastal defence and has the added bonus of being of use to recreational users such as surfers and sailors. It’s important to note that the real-time data isn't quality checked. We do quality check all the data retrospectively before we add it to our archive where it can be downloaded in yearly or monthly increments. Of course, all the information from the buoys is freely available to everyone. You can even set up an alert to be told if waves or tides hit a certain height. Why not take a look at what the waves are doing right now using the interactive map below?